I’m finishing off a few models before my Christmas project. 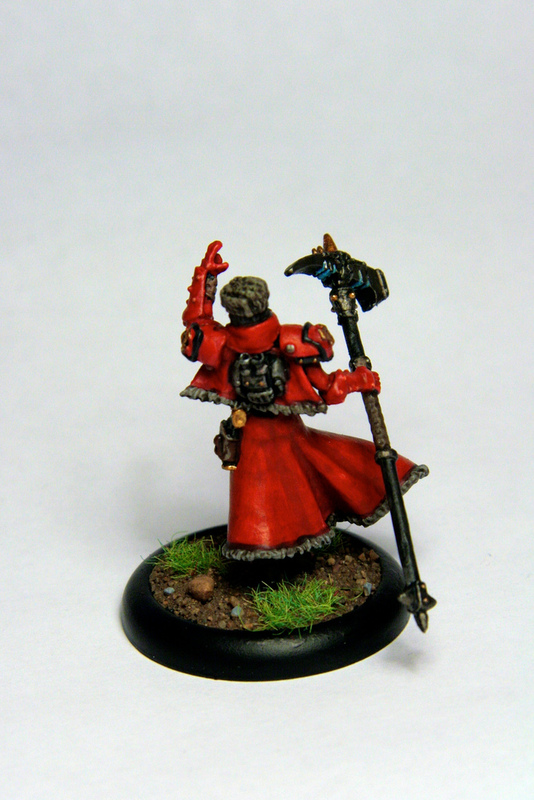 First up is the new Kommander Sorscha from the plastic Khador Battle Box set. I converted and painted the Juggernaut into Beast-09 and the Destroyer will probably find its way onto eBay (I have two already). I didn’t put too much time into painting Sorscha, about 3 hours in total, as I just want to finish up a few stray models before Christmas. 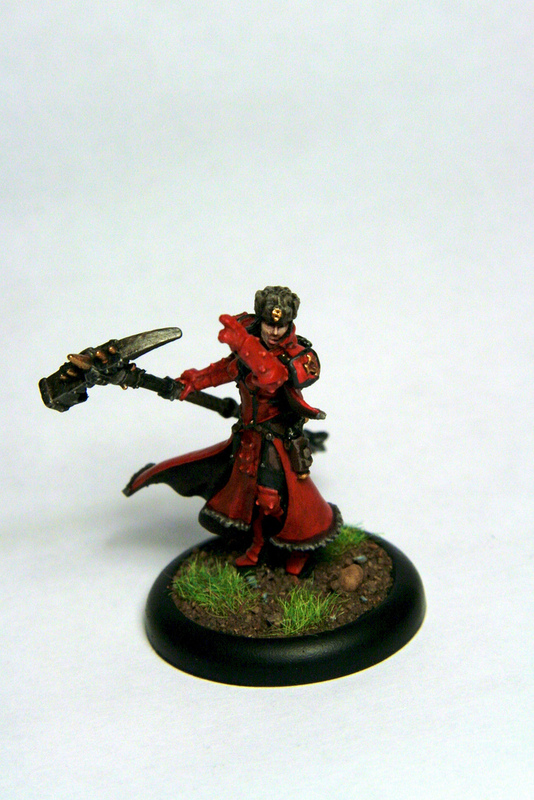 She was my only unpainted Khador model. Next up on my desk is the new sculpt of Skarre (last unpainted Cryx model) and Al-Vianna, a proxy for Kaya. I undercoated the model using black Gesso. I tackled the reds next using the technique described here. Next up was the flesh – I base coated it Tallarn Flesh. It was washed with Ogryn Flesh, thenfollowed by adding increasing amounts of Elf Flesh to the base coat up to a pure Elf Flesh highlight. The eyes were painted Kommando Khaki and dotted with Chaos Black. The hat was based Battlefield Brown, drybrushed Khemri Brown, then Kommando Khaki and finally Bleached Bone. This was washed with Devlan Mud. Other leathers were based Battlefield Brown and highlighted Bestial Brown. Again Devlan Mud was used for the wash. The metals are either Shining Gold or Boltgun Metal. These are washed with … you guessed it … Devlan Mud. Finally I based the model using my basic basing scheme.